The Kishi is an elegant, streamlined pen, with class and flair. The clean lines perfectly suit the executive, or contemporary individual. 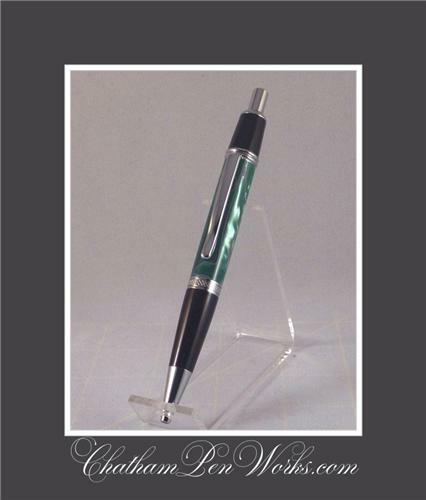 This edition Features a chrome finish, and is dressed in Emerald Ocean.